Ted Ligety injured his left wrist in training on Vail’s Golden Peak on Saturday (U.S. Ski Team photo). Two-time Olympic gold medalist Ted Ligety, of Park City, Utah, dislocated his left wrist while training Saturday at Vail’s Golden Peak and could miss the Birds of Prey Word Cup races Dec. 5-7 at Beaver Creek. According to U.S. Ski Team medical director Kyle Wilkens, Ligety suffered a left wrist carpal dislocation. He underwent surgery with U.S. Ski Team physician Dr. Randy Viola at the Vail Valley Medical Center Saturday afternoon. Ligety will be fitted with a special splint to wear while skiing, and doctors anticipate he should be back skiing shortly. However his ability to compete in the super-G Nov. 30 at Lake Louise and the super-G and giant slalom at Beaver Creek the weekend after is in question. Ligety has won four times at Beaver Creek and been on the podium (top 3) eight times. Overall, he’s won 23 times on the World Cup circuit and claimed two Olympic golds (2006, 2014) and four world championship golds. Ligety’s absence at Beaver Creek would be a major blow for a U.S. Ski Team already missing all-time American World Cup winner Bode Miller, who will miss next month’s Birds of Prey races after recent back surgery. Miller, who’s also won four times at Beaver Creek and been on six podiums, is trying to return to action in time for the World Alpine Ski Championships Feb. 2-15 at Beaver Creek. The bad news about Ligety came on the same day the International Ski Federation officials certified Beaver Creek’s Birds of Prey venue for racing action Dec. 5-7. Beaver Creek Mountain, which has received nearly four feet of new snow in the past two weeks (including eight inches Sunday morning), is scheduled to open on Wednesday, Nov. 26, while Vail Mountain opened to the public on Friday and received six inches of new snow as of Sunday morning. According to Opensnow.com, another two to four inches of snow is expected to fall Sunday, followed by another four to seven inches on Monday. The FIS requires a snow control inspection for all World Cup sites in advance of the competitions to ensure that good racecourse conditions exist or that the weather forecast is favorable for sufficient snowmaking. The 2014 Audi FIS Birds of Prey World Cup Race Week gets underway Tuesday, Dec. 2, with downhill training. Competition kicks off Friday, Dec. 5, with the traditional Birds of Prey Downhill, followed by Super-G on Saturday, Dec. 6. The weekend’s racing will conclude with giant slalom on Sunday, Dec. 7. The 2014 Audi FIS Birds of Prey World Cup Race Week at Beaver Creek is a project of the Vail Valley Foundation. For additional information on Birds of Prey, visit www.bcworldcup.com. 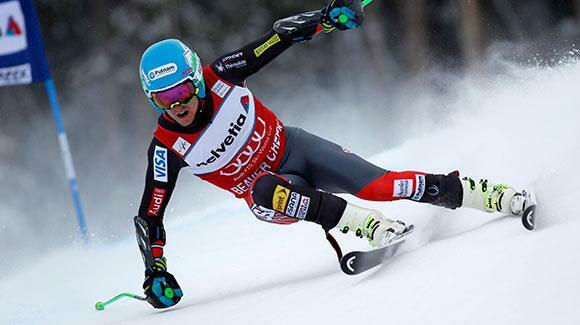 The FIS World Alpine Ski Championships are scheduled for Feb. 2-15 at Vail and Beaver Creek.